Here, you slice the pomegranate in half and use a wooden spoon to whack out the seeds. As one can imagine, a mess is just as inevitable, along with running the risk of bursting the seeds that are set deeper within the half. 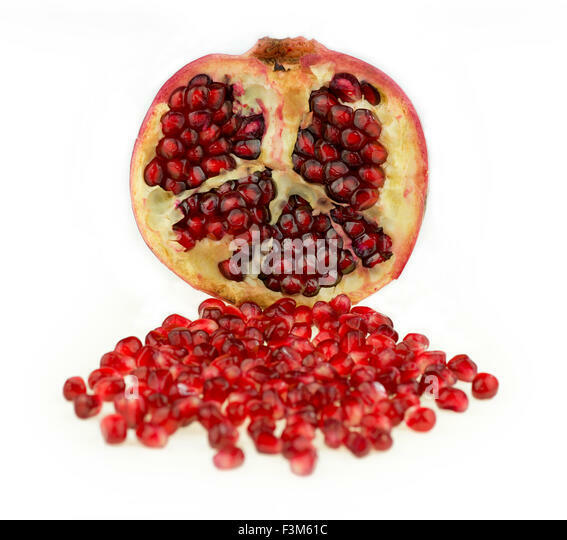 1) Cut pomegranate fruit in half across the middle, just like you would an orange....through the equator. (NOT stem to blossom end) Place a glass or small bowl under the cone on your counter top to catch the juice as it flows out of the fruit. Holding the pomegranate from the crown and the base, use gentle force to divide the pomegranate in half along the cuts. Continue to separate the pomegranate until you have four sections. 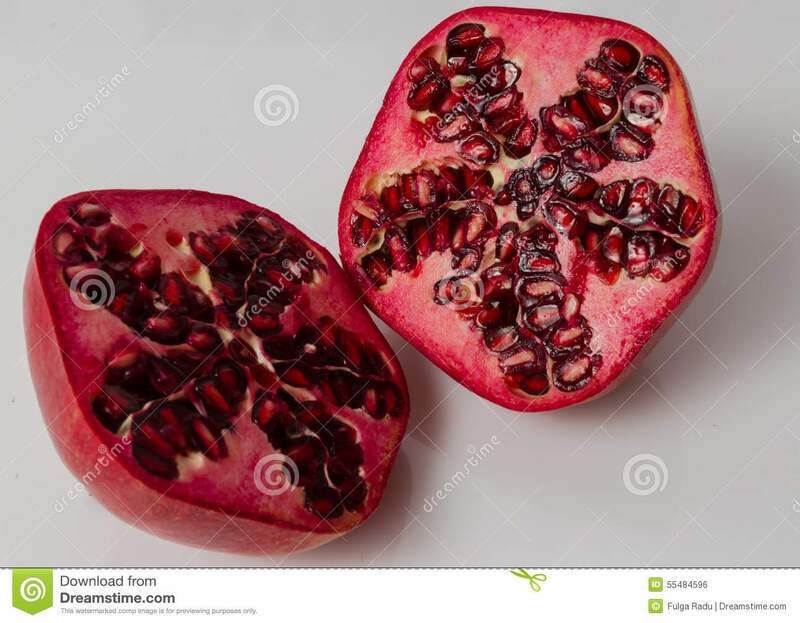 Continue to separate the pomegranate until you have four sections.